1819 Birth. Araminta Ross [Harriet Tubman] was born into slavery in 1819 or 1820, in Dorchester County, Maryland. Given the names of her two parents, both held in slavery, she was of purely African ancestry. She was raised under harsh conditions, and subjected to whippings even as a small child. She slept as close to the fire as possible on cold nights and sometimes stuck her toes into the smoldering ashes to avoid frostbite. Cornmeal was her main source of nutrition and occasionally meat of some kind as her family had the privilege to hunt and fish. Most of her early childhood was spent with her grandmother who was too old for slave labor. At age six, Araminta was old enough to be considered able to work. She did not work in the fields though. Edward Brodas, her master, lent her to a couple who first put her to work weaving but she was beaten frequently. When she slacked off at this job the couple gave her the duty of checking muskrat traps. Araminta got very ill while doing this work. The couple thought she was incompetent and took her back to Brodas. When she got well, she was taken in by a woman as a housekeeper and baby-sitter. Araminta was whipped during the work here and was sent back to Brodas after eating one of the woman’s sugar cubes. As was the custom on all plantations, when she turned eleven, she started wearing a bright cotton bandana around her head indicating she was no longer a child. She was also no longer known by her “basket name,” Araminta. Now she would be called Harriet, after her mother. At the age of 12 Harriet Ross was seriously injured by a blow to the head, inflicted by a white overseer for refusing to assist in tying up a man who had attempted escape. 1844 Marriage. 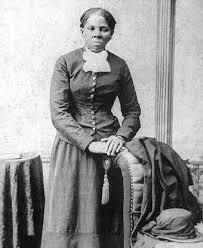 In 1844 at the age of 25, she married John Tubman, a free African American who did not share her dream. Since she was a slave, she knew there could be a chance that she could be sold and her marriage would be split apart. Harriet dreamed of traveling north. There, she would be free and would not have to worry about having her marriage split up by the slave trade. But, John did not want her to go north. He said he was fine where he was and that there was no reason for moving north. She said she would go by herself. He replied with questions like “When it’s nighttime, how will you know which way is north?” and “What will you eat?” He told her that if she ran off, he would tell her master. She did not believe him until she saw his face and then she knew he meant it. Her goal to achieve freedom was too large for her to give up though. So in 1849 she left her husband and escaped to Philadelphia in 1849. 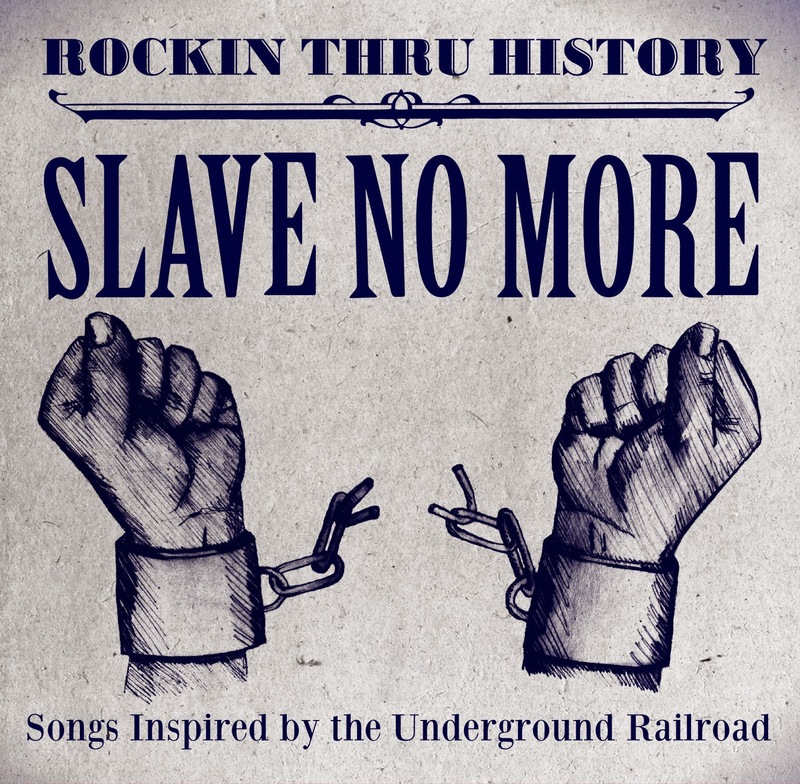 It is said that Henry “Box” Brown, a slave, had himself nailed in a wooden box and mailed by real train from Richmond to William Still in Philadelphia. He was a freeborn black Pennsylvanian who could read and write. He used these talents to interview runaway slaves and record their names and stories in a book. He hoped that in the future, families could trace their relations using this book. 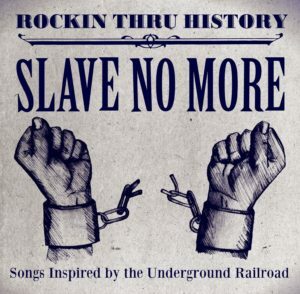 Still published the book in 1872 under the title The Underground Railroad where it describes many of Tubman’s efforts. It is still published today. 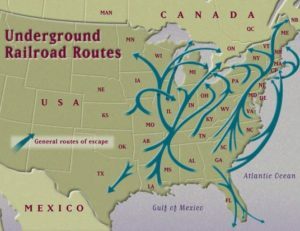 With the assistance of Still, and other members of the Philadelphia Anti-Slavery Society, she learned about the workings of the Underground Railroad (click for details). 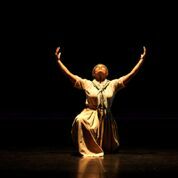 In 1850, Harriet helped her first slaves escape to the North. She sent a message to her sister’s oldest son that said for her sister and family to board a fishing boat in Cambridge. This boat would sail up the Chesapeake Bay where they would meet Harriet in Bodkin’s Point. 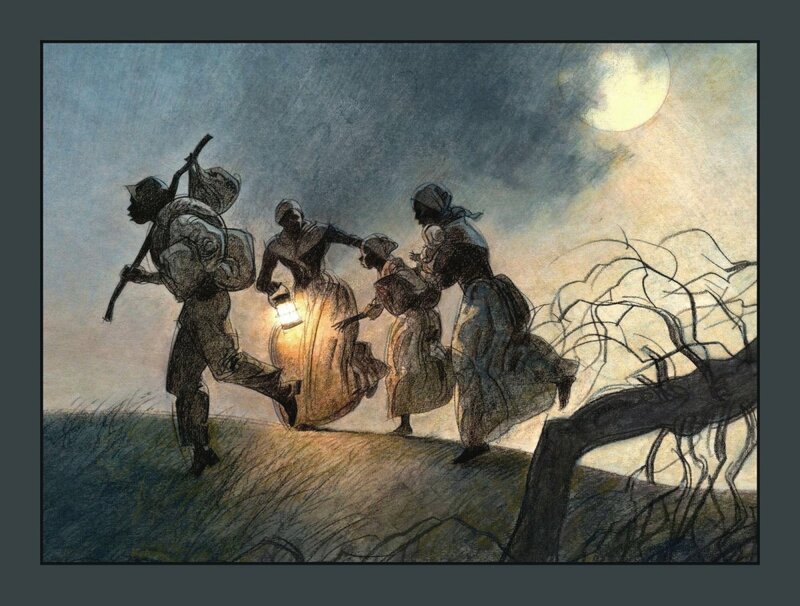 When they got to Bodkin’s Point, Harriet guided them from safe house to safe house in Pennsylvania (which was a free state) until they reached Philadelphia. 1850 Conductor: In September of the same year, Harriet was made an official “conductor” of the UGRR. This meant that she knew all the routes to free territory and she had to take an oath of silence so the secret of the Underground Railroad would be kept secret. She also made a second trip to the South to rescue her brother James and other friends. They were already in the process of running away so Harriet aided them across a river and to the home of Thomas Garret. He was the most famous Underground “Stationmaster” in history. Around this time the 1850 Fugitive Slave Act was passed. It stipulated that it was illegal for any citizen to assist an escaped slave and demanded that if an escaped slave was sighted, he or she should be apprehended and turned over to the authorities for deportation back to the “rightful” owner down south. Any United States Marshall who refused to return a runaway slave would pay a hefty penalty of $1,000. 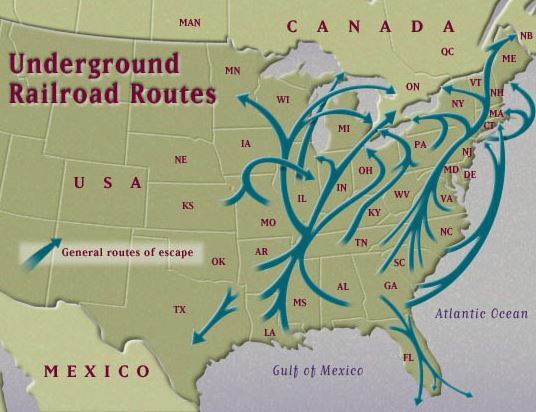 Thus the Underground Railroad tightened security. It created a code to make things more secret. It also sent the escaping slaves into Canada instead of the “North” of the U.S.
1851 Canada. Harriet’s third trip was in September 1851. She went to get her husband, John, but he had remarried and did not want to leave. So she went back up North. Harriet went to Garret’s house and found there were more runaways (which were referred to as passengers) to rescue than anticipated. That did not stop her though. She gave a baby a sedative so he would not cry and took the passengers into Pennsylvania. The trip was long and cold but they did reach the safe house of Frederick Douglas. He kept them until he had collected enough money to get them to Canada. He received the money so she and her eleven passengers started the journey to Canada. To get into Canada, they had to cross over Niagara Falls on a handmade suspension bridge which would take them into the city of St. Catherine, Ontario in Canada. In St. Catherine, blacks and whites lived together in comfortable houses and they had their own land to farm and raise crops. St. Catherine’s remained her base of operations until 1857. While there she worked at various activities to save to finance her activities as a Conductor on the UGRR, and attended the Salem Chapel BME Church on Geneva Street. 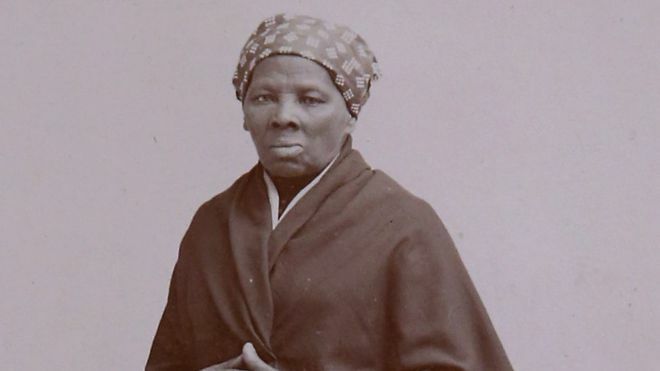 In the winter of 1852, Tubman was ready to return to the U.S. to help free more slaves. In the spring, she worked in Cape May and saved enough money to go to Maryland. By now, Tubman had led so many people from the South – the slave’s called this the “land of Egypt” – to freedom, she became known as “Moses.” She was also known by the plantation owners for her efforts and a bounty of $40,000 was posted. The state of Maryland itself posted a $12,000 reward for her capture. 1857 Auburn. On the road between Syracuse and Rochester, were a number of sympathetic Quakers and other abolitionists who settled at Auburn. Here also was the home of US Senator and former New York State Governor William H. Seward (and known for Seward’s folly). Sometime in the mid-1850s, Tubman met Seward and his wife Frances. Mrs. Seward provided a home for Tubman’s favorite niece, Margaret, after Tubman helped her to escape from Maryland. In 1857, the Sewards provided a home for Tubman, to which she relocated her parents from St. Catherine’s. This home was later sold to her for a small sum, and became her base of operations when she was not on the road aiding fugitives from slavery, and speaking in support of the cause. In Canada, she met famed abolitionist John Brown, a radical abolitionist, who had heard much about Harriet. When he came to St. Catherine, he asked J.W. Loguen to introduce them. 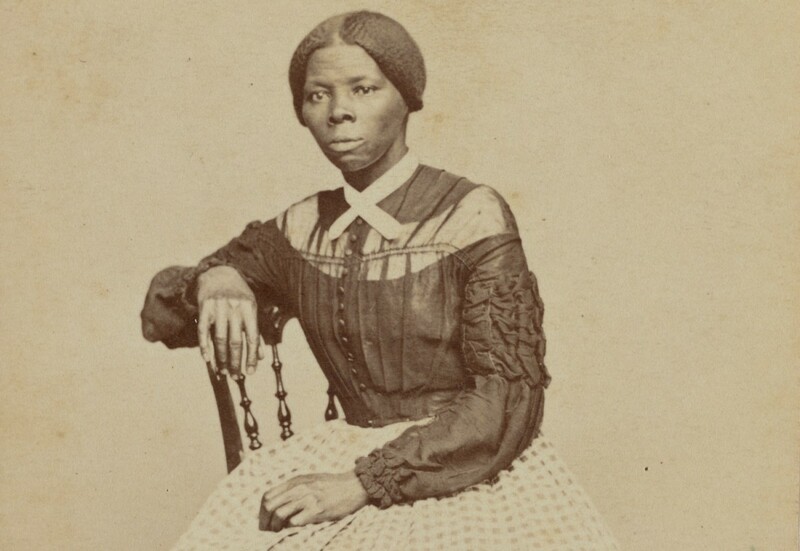 When Brown met Tubman, he was overwhelmed by her intelligence and bearing and said “General Tubman, General Tubman, General Tubman.” From then on he would refer to her by this name. Brown called Harriet, “one of the best and bravest persons on this continent.” She worked closely with Brown, and reportedly missed the raid on Harper’s Ferry only because of illness. In 1860 in Troy, New York, in which she set her mind to setting free a fugitive who had been captured and was being held at the office of the United States Commissioner. The slave, a man named Charles Nalle, did escape thanks to Tubman’s efforts. He later bought his freedom from his master, a man who also happened to be his younger, half-brother. Harriet Tubman’s career in the Railroad was ending by December 1860. She made her last rescue trip to Maryland, bringing seven people to Canada. In the ten years she worked as a “conductor” on the Railroad, Harriet managed to rescue over 300 people. She had made 19 trips and never lost a passenger on the way. For Tubman’s safety, her friends took her to Canada. 1861 Civil War. 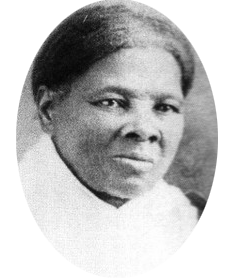 Tubman returned to the U.S. from living in Canada in 1861. The Civil War had begun and was enlisting all men as soldiers and any women who wanted to join as cooks and nurses. 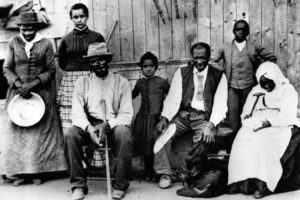 Tubman enlisted into the Union army as a “contraband” nurse in a hospital in Hilton Head, South Carolina and for a time served at Fortress Monroe, where Jefferson Davis would later be imprisoned.. Contrabands were blacks who the Union army helped to escape from the Southern compounds. Often they were half starved and sick from exposure. Harriet nursed the sick and wounded back to health but her work did not stop there. She also tried to find them work. When the army sent her to another hospital in Florida, she found white soldiers and contrabands “dying off like sheep”. She treated her patients with medicine from roots and miraculously never caught any of the deadly diseases the wounded soldiers would carry. During the summer of 1863, Tubman worked with Colonel James Montgomery as a scout. She put together a group of spies who kept Montgomery informed about slaves who might want to join the Union army. After she and her scouts had done the groundwork, she helped Montgomery organize the Combahee River Raid. The purpose of the raid was to harass whites and rescue freed slaves. They were successful in shelling the rebel outposts and gathering almost 500 slaves. Just about all the freed slaves joined the army. While guiding a group of black soldiers in South Carolina, she met Nelson Davis, who was ten years her junior. Denied payment for her wartime service, Tubman was forced, after a bruising fight, to ride in a baggage car on her return to Auburn. 1869 Second marriage. After the war, Harriet returned home to Auburn. In 1869, she married Nelson Davis and together they shared a calm, peaceful 19 year marriage until he died. Tubman returned to Auburn, New York after the war and purchased Seward’s seven-acre plot in 1873 with $1,200 donated by author Sarah Bradford from sale proceeds of her book. The Tubman-Davis brick home still remains today on that property. Only twelve miles from Seneca Falls and Susan B. Anthony, Tubman helped Auburn to remain a center of activity in support of women’s rights. With her home literally down the road, Tubman also remained in contact with her friends, William and Frances Seward. Sometime in the 1890’s the government finally gave her a much deserved military pension of $20 per month. In 1908, she purchased the property adjoining her home and built the wooden structure that served as her home for the aged and indigent. Here she worked, and was later cared for herself in the period before her death in 1913. Death. Before she died on March 10, 1913, she gave her home for the elderly to the Methodist Episcopal Zion Church. Tubman was buried with military rites in Fort Hill Cemetery, a short drive from the home. A year after her death, Auburn declared a one-day memorial to its anti-slavery hero. Residents of the city that day unveiled the Harriet Tubman Plaque, which remains on display at the entrance of the Cayuga County Court House. She has since received many honors, including the naming of the Liberty Ship Harriet Tubman, christened in 1944 by Eleanor Roosevelt. On June 14, 1914 a large bronze plaque was placed at the Cayuga County Courthouse, and a civic holiday was declared in her honor. Freedom Park, a tribute to the memory of Harriet Tubman, opened in the summer of 1994 at 17 North Street in Auburn. In 1995, Harriet Tubman was honored by the federal government with a commemorative postage stamp bearing her name and likeness.